My daughter, granddaughter and I went to Wildlife Safari in Winston, Oregon on April 3 and what a grand experience it was! I hadn't been in over 30 years so had forgotten how much fun it was. 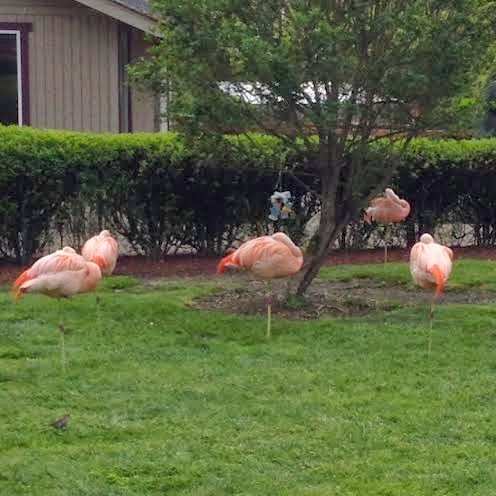 Wildlife Safari is an accredited non-profit wildlife park dedicated to education, conservation and research. 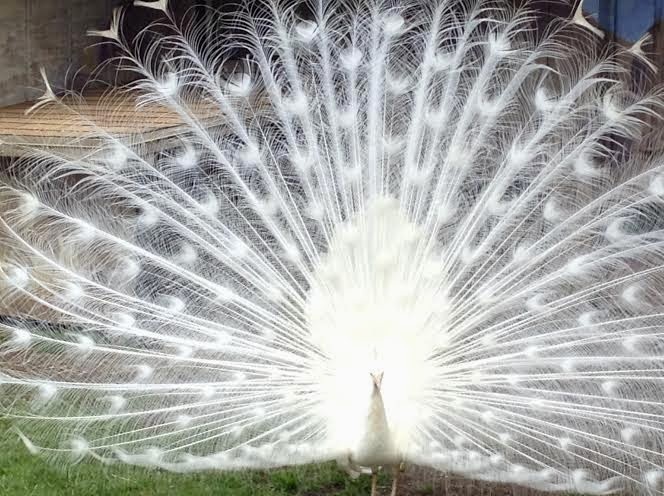 This beautiful white Peacock kept turning just like a Vegas showgirl so we were able to get several lovely shots! 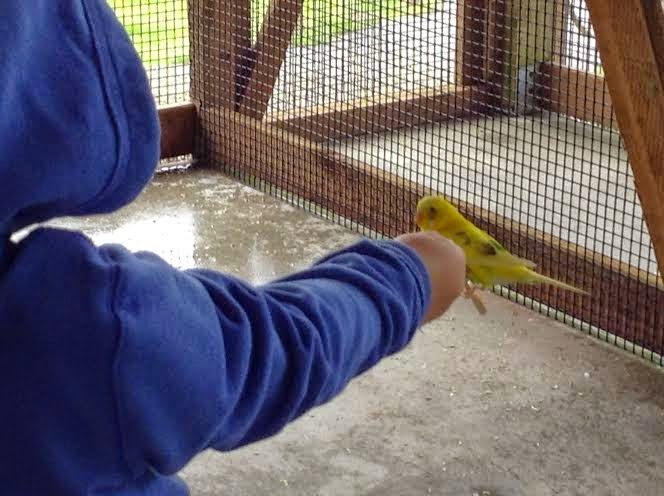 We were able to go into a Budgie house where there were about 300 Budgies! We bought a "seed stick" so my granddaughter could feed them. She held it out and the bird landed on it! So fun! 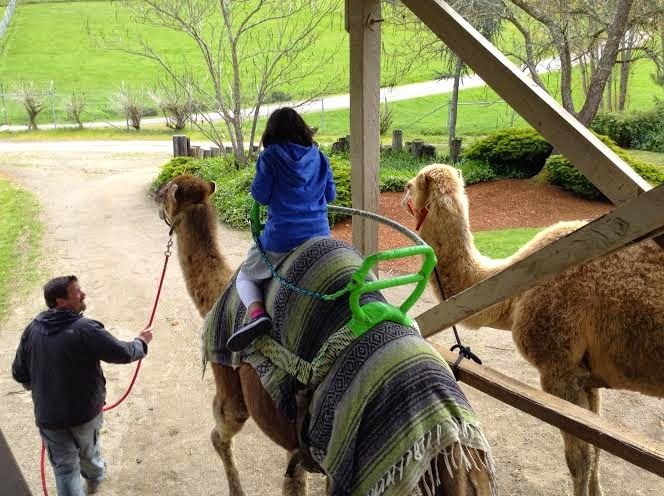 The camel ride was a real highlight for my granddaughter! Then we started the drive-thru portion of our adventure! The animals roam free; people are captive in their cars! The giraffe was walking toward our car and actually came so close to the side of the car, I could have touched it. WOW! They are huge! The only animals in enclosures are the lions and bears. During a stretch of the road, we purchased a cup of food for my granddaughter to feed to the animals. She loved it! These little deer actually nibbled on her fingers...she said it tickled! All three of us deemed this "the best day EVER!" I was particularly impressed with how happy each of the employees we encountered appeared. Each one seemed to be genuinely happy to be working there! If you get the opportunity to visit Wildlife Safari, it will be well worth your time and money. There's a similar place not far from where I grew up that has the same approach, driving through enclosures where the animals stroll about. It was a truly amazing experience. Wish I had your photography skills when I was there!